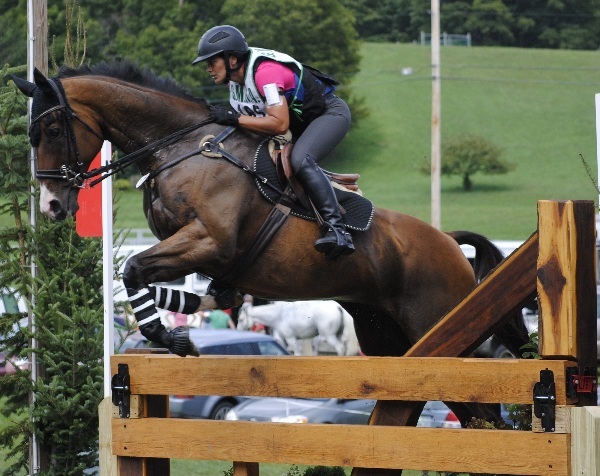 Visionaire is one of the foundation writers of Eventing Nation from the very early days in 2010. 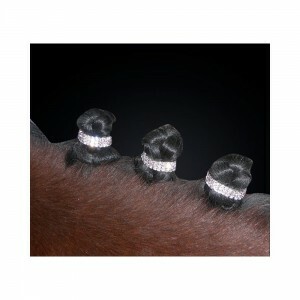 She has ridden up to Advanced level and spent six years as head groom for Dorothy Crowell. 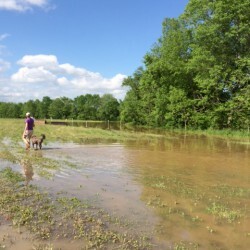 After a few years in the Thoroughbred industry, she now spends her time writing for EN, riding a few nice OTTBs, and working with her husband's hay business, A.T. Acres Farm. Jump judges have it rough, make sure you thank them! Photo from Rocking Horse via Sinead Halpin's Twitter. Thank you. It can never be said enough to the selfless men and women who give up their weekends all season long so that the rest of us can compete in this sport. I make it a point to thank as many volunteers as I can, from ring stewards, to starters, to jump judges, to the kid collecting pinnies. Without them our events would not exist. Did you remember to thank a volunteer at your show this weekend? Susan Goldfischer was a voluteer at Groton House and send us a message on facebook. Thanks, Susan! 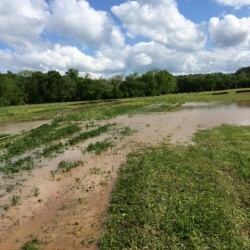 Just thought I’d share a pic I took on Friday at Groton House Farm during a brief break from my volunteer gig as warm up steward for dressage. 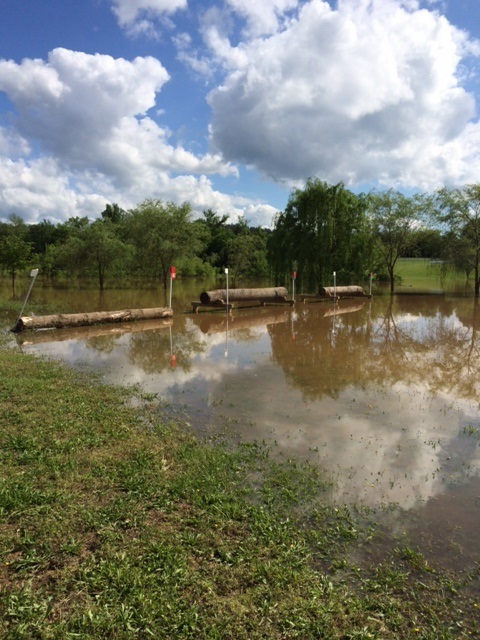 GHF HT has five dressage rings running simultaneously with all competitors warming up in one field. Needless to say by mid day the vocal cords were begining to falter. 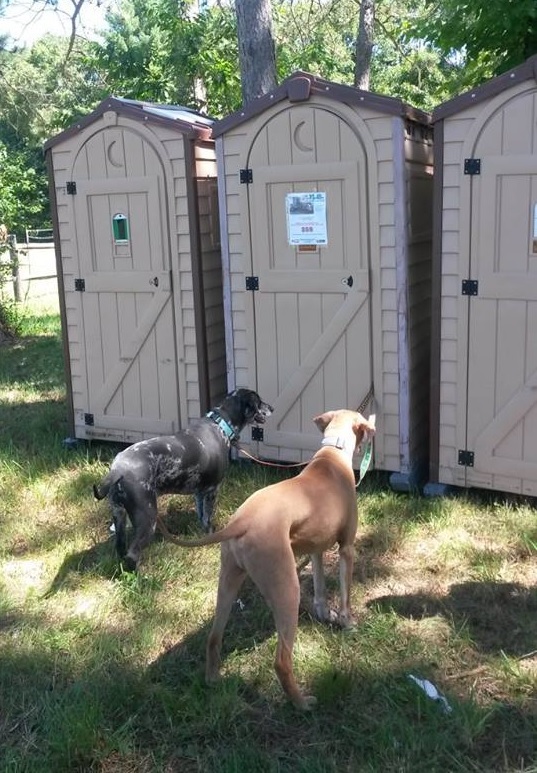 On a quick trip to the loo I saw these two pups patiently waiting for their person to emerge. 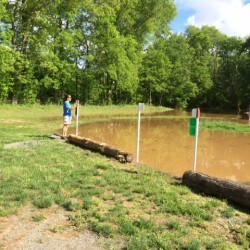 Volunteering at HTs is an awesome way to support eventing nation and I always feel as though I get back way more then I’ve given. Plus I have one heck of a t-shirt collection. Summer Sundays are always busy– ribbons, photos, and cheers for the winners, and sometimes disappointment for those at the bottom of the scoreboard. For those with letters this weekend, chin up– we’ve all been there, and will be there again. This weekend saw competitions from coast to coast, and as the upper level divisions have completed let’s take a look at some results from around the country. Kelly Prather had an outstanding weekend at the New Jersey Horse Park, taking home the win in Advanced Division B with Blackfoot Mystery (see earlier post) and also winning Preliminary-A with D.A. Calimero. 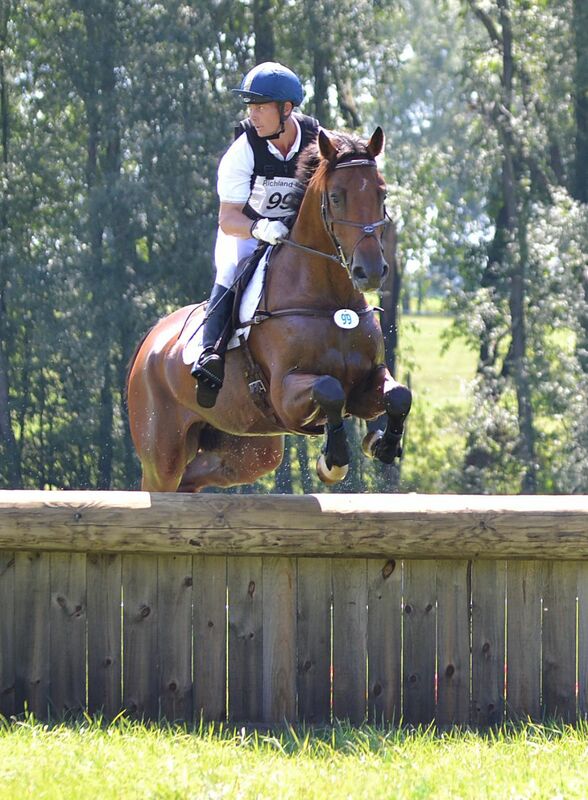 Also at Jersey, Lauren Kieffer and her CIC3* partner R.F. 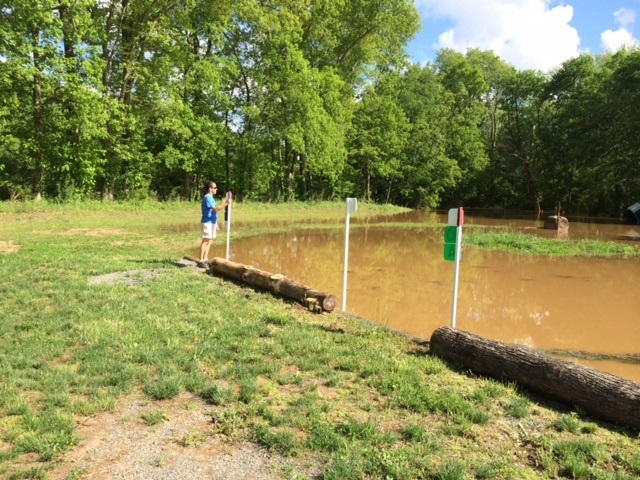 Cosima had an easy win in Preliminary-C. Madeline Backus won the Intermediate/Preliminary gate to wire with P.S. 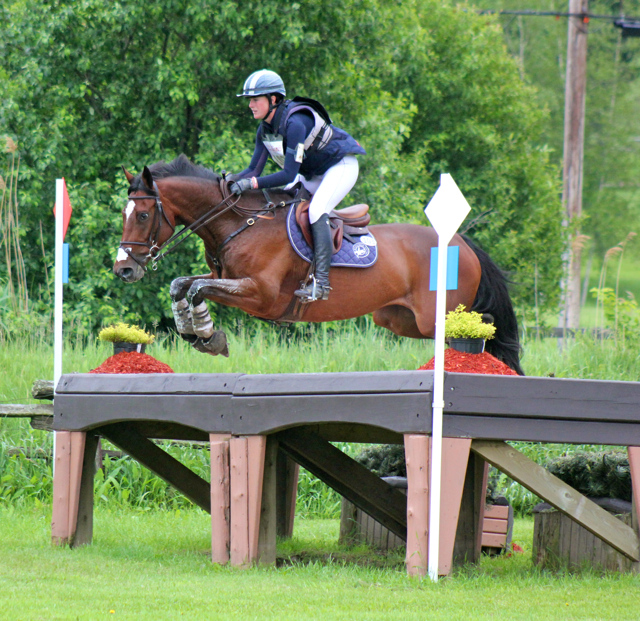 Adrianna at Inavale, while clear round in show jumping moved Ferial Johnson and Bali Hai into the lead at Groton House. 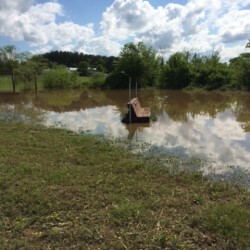 We’ve been told there is a misprint on EventEntries.com, and Marilyn Little and RF Typecast won this division on their dressage score of 26.1. Step AWAY from the Show Sheen…this is an intervention. 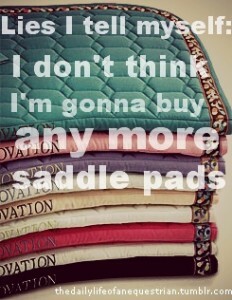 Obviously, you’re addicted to horses. But what about everything that goes along with being around them? 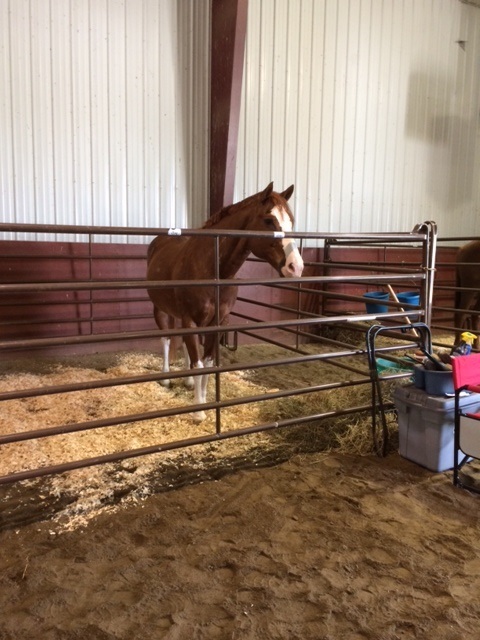 Most horse people don’t think twice about taking a nice big whiff of manure while picking out stalls…or bringing their barn jacket to the office to get a little whiff of barn smell, I have been informed that most people do not find this kind of behavior to be normal. Why, I am not sure. 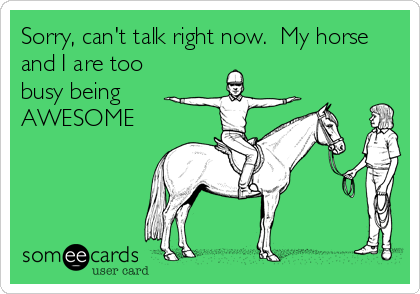 What strange equine obsessions do you have? 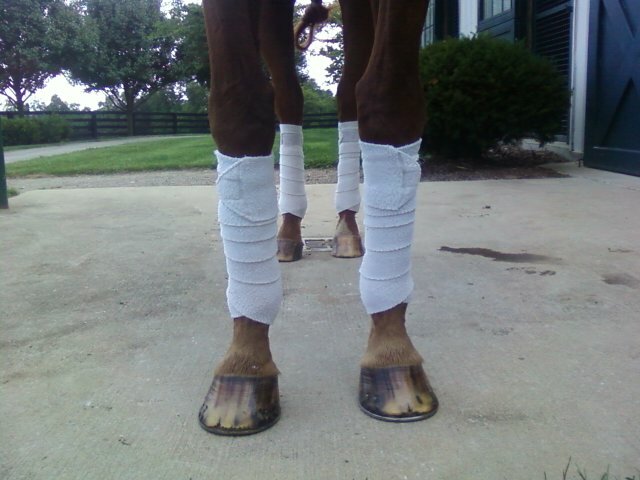 Doing your polo wraps over and over and over until they’re perfect. 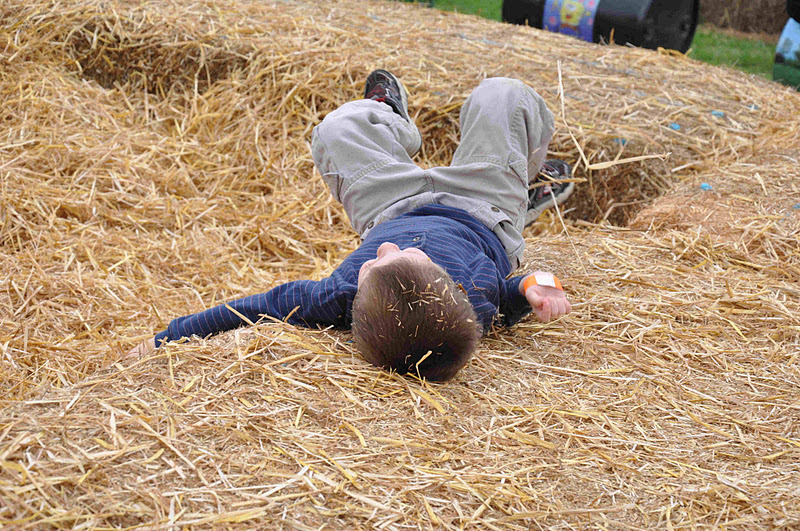 The smell of good hay. Using your horse’s hair care products on yourself. Scratching off crud to medicate your horse’s skin. So gross…but so weirdly satisfying. Getting a whiff of barn smell when you put on your barn jacket. Instant pick-me-up. Buying horse stuff online…because what’s one more pair of ill-fitting $20 breeches or yet another crazy-color saddle pad? Living vicariously through GoPro videos. 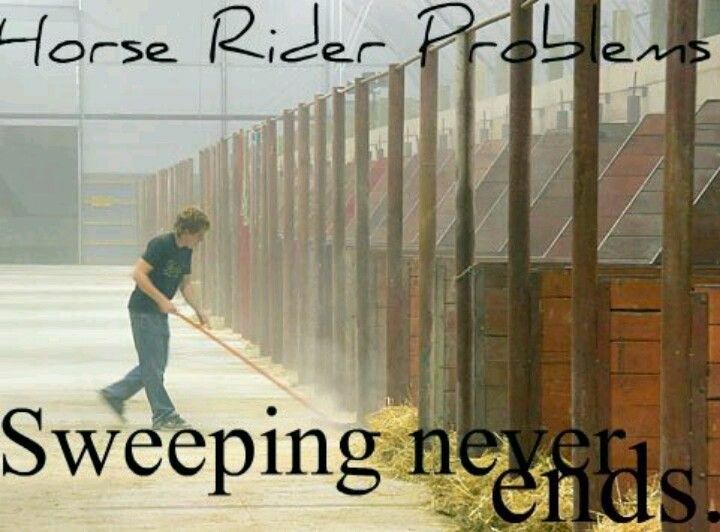 Cleaning the barn…even though it will literally never, ever be done. 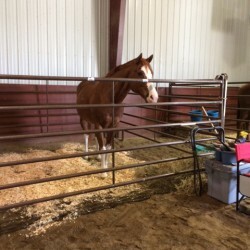 “Window shopping” on DreamHorse, Equine.com, Facebook or CANTER listings–perhaps the most dangerous equine obsession for your checkbook, health, and human relationships. Might want to be a little sneakier than this kid, though. Go Riding. At least we can all agree on the appeal of that! Kelly Prather and Blackfoot Mystery won Advanced Division B. 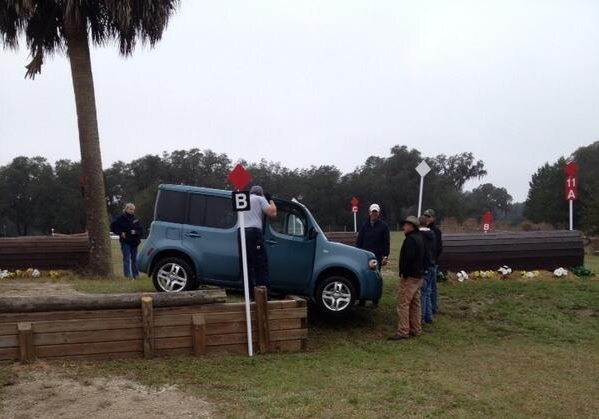 Photo via Kelly Prather Eventing facebook. 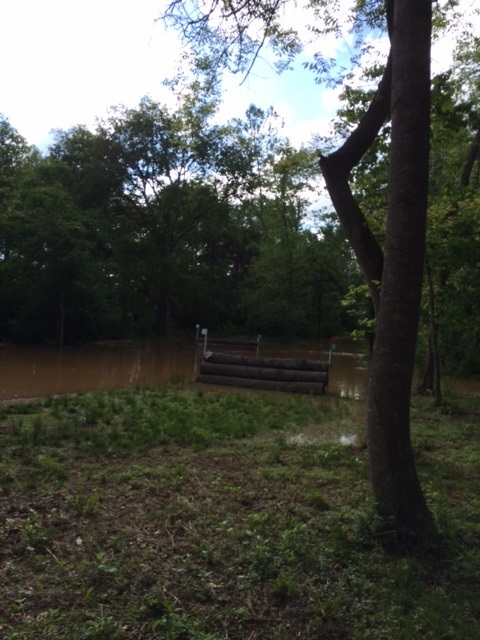 The Advanced cross-country has completed at the New Jersey Horse Park HT with victories going to Marilyn Little and Kelly Prather. Marilyn and RF Demeter soundly defeated the field in Division A, adding just 1.2 time penalties to their dressage score to win by nearly 18 points. Kelly Prather took home the win in Division B with Blackfoot Mystery in his first try at Advanced level. Her two time penalties kept her ahead of double clear rounds by Boyd Martin with Pancho Villa and Buck Davidson with Wiley Post. 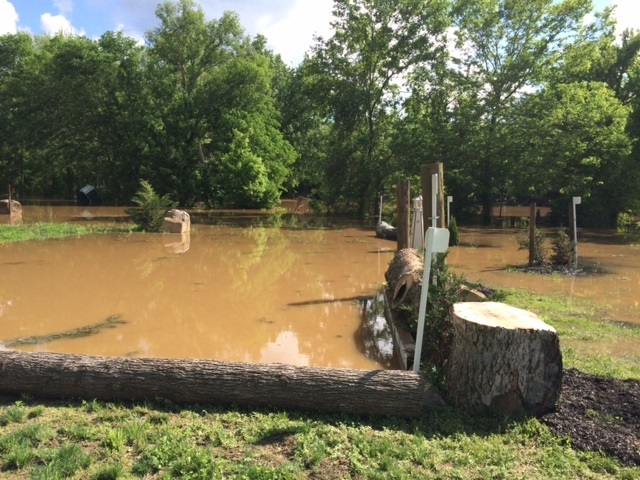 The course seemed to ride well, with only two riders having jump penalties. Many competitors took it easy around the course, including WEG Team members Lynn Symansky and Donner (+26.8), Kim Severson and Fernhill Fearless (+8), and alternates Buck Davidson with Park Trader (+21.6), Meghan O’Donoghue and Pirate (+18.4). 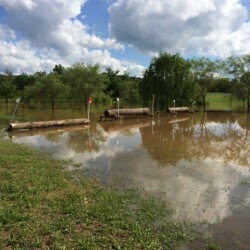 Riders are likely looking ahead to save their horses for more important events later this fall, resulting in slower trips around the course. Michael Jung could probably win the World Cup singlehandedly, too. Photo by Julia Rau. 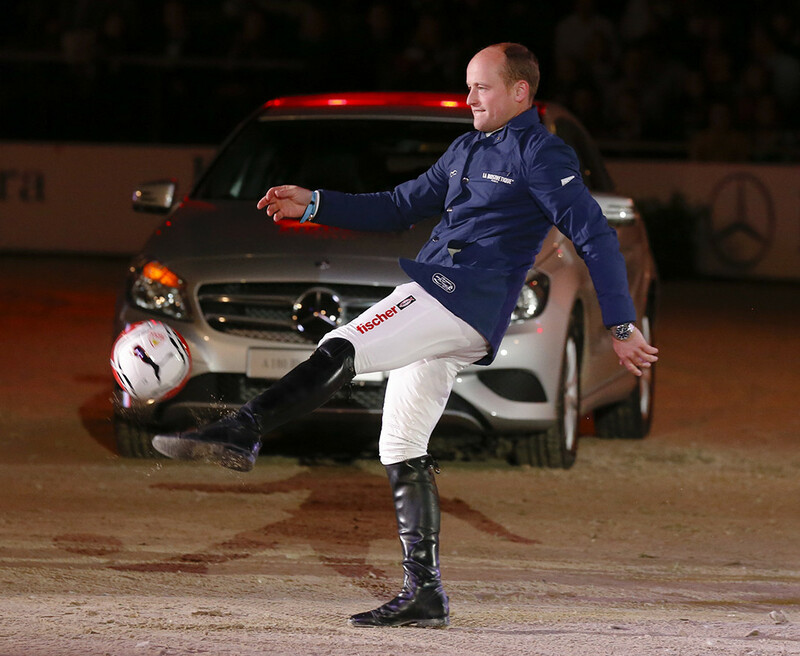 The German team looks to be in top form coming to their final preparations for WEG at Normandy. Michael Jung and Sam look primed to defend their championship title. Only 55 days remaining! Marilyn Little and RF Demeter, shown here at the Fork.. Photo by Samantha Clark. Lynn Symansky and Donner had a beautiful show jumping round. Donner appears to have springs for legs! Emily Beshear and Here’s To You also jumped double clear to move into the lead in Advanced division B.
Erin Risso and Beacon, shown here at GMHA. Photo by Eric Swinebroad. It’s a busy weekend with events across the country, from Groton House in Massachusetts to Inavale in Oregon. 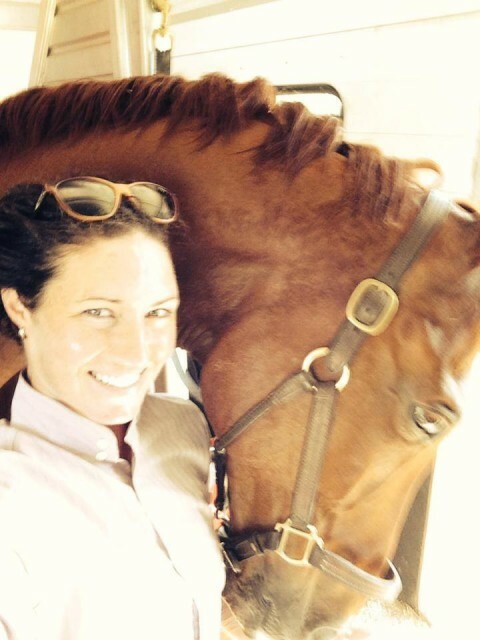 As mentioned earlier, a host of US Team horses are running Advanced at the New Jersey Horse Park, with divisions led by Marilyn Little (RF Demeter) and Emily Beshear (Here’s To You). Erin Risso and Beacon lead the Intermediate/Prelim division at Groton House, while Madeline Backus and P. S. Arianna top the board in the Abbe Ranch (CO) I/P division. Congrats also to Jennie Brannigan at Jersey for winning Open Training -A on a score of 17.7 with Kilkenny, and finishing third with Cool As Ice. Here’s a brief round up of scores thus far. 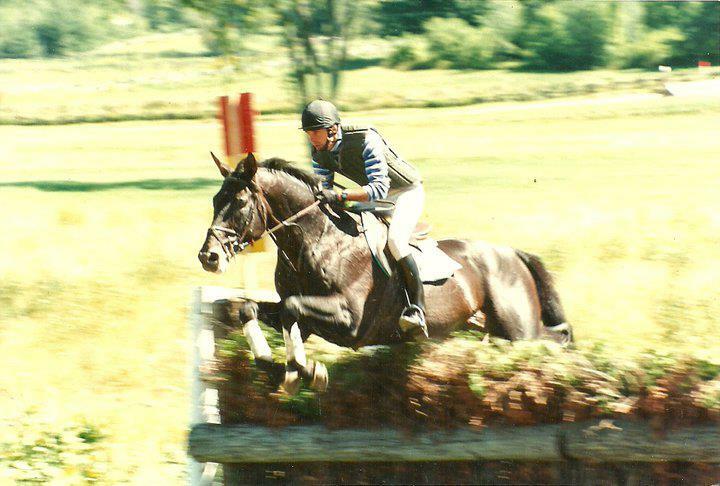 Denny Emerson and Epic Win tackle steeplechase at Bromont, via Denny's Facebook. Denny Emerson is always a favorite of mine to read; I remember reading his “Between Rounds” columns in the Chronicle many years ago. 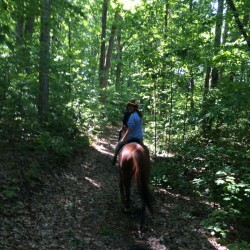 He shares his wisdom freely, whether it’s tips on riding skills or opinions on horsemanship. 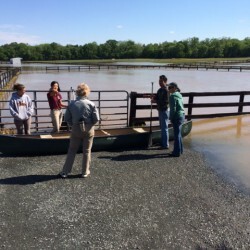 Today I stumbled across a piece he wrote for Horse Collaborative: How Do I Learn To Jump? In typical Denny fashion, he makes the answer seem so simple. How do you learn to jump? Just do it. Set up a one-foot fence, and jump it. When you are bored, make it bigger. Some things you just have to learn by doing, and jumping is one of them. Of course, “make it bigger” could turn out to have crazy kids attempting to jump 4′ on ponies (um, I didn’t think it was that high?!). But I think Denny’s right: as riders, we should strive to expand our comfort zone. We should certainly respect our limits of safety, but make sure they are truly there, and not simply psychologically imposed from the fear of failure. 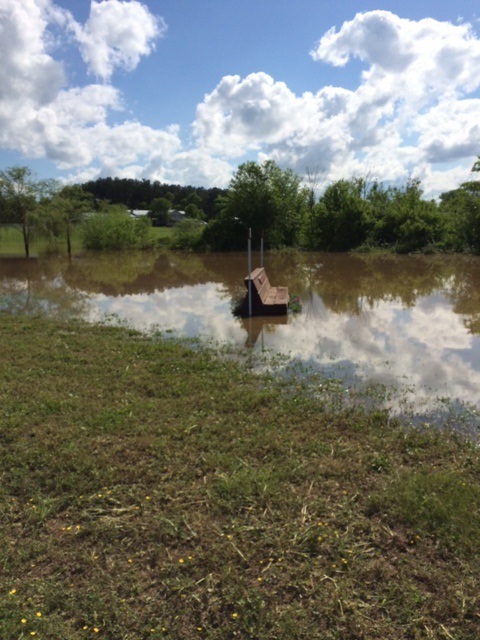 When you’re ready, keep raising those jumps… you never know how high you can go until you try. Growing up, the brilliant gray Thoroughbred show jumper Gem Twist was my idol. Maybe it was the name, maybe the sparkling white coat, maybe just the way he soared so effortlessly over the fences, but he was THE horse I always remembered. A three-time horse of the year, and Olympic silver medalist, Gem Twist was a legend in his own time with a long, long list of accomplishments. But perhaps more importantly, he captured the hearts and minds of those who saw him compete. Since his death in 2006, Gem Twist has been cloned. “Gemini Twist” (2008) has been kept intact for breeding by Frank and Mary Chapot, and another clone, “Murka’s Gem” was born in 2011 and is pointed to a competition career by Team Murka. 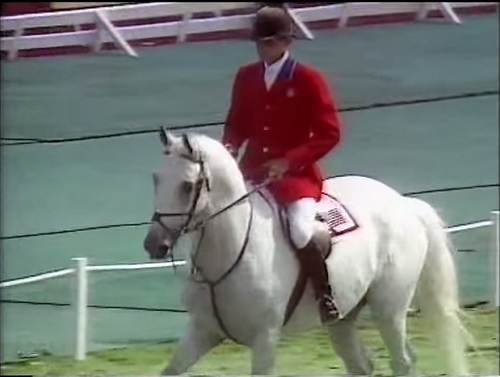 Here is the original Gem Twist in all his glory at the WEG Stockholm in 1990 with Greg Best, where he was voted World’s Best Horse. Marilyn Little and RF Demeter at Pau. Photo by Jenni Autry. 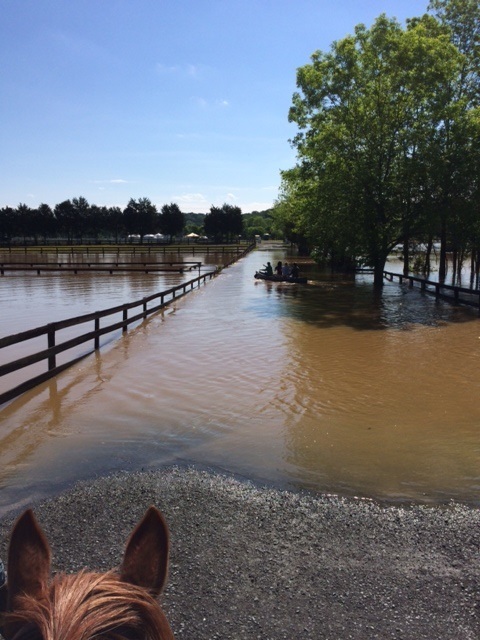 As the World Equestrian Games approach, our Team horses and riders continue their preparation. 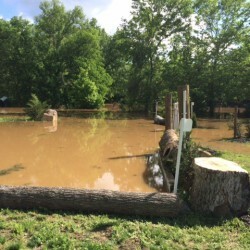 Nearly the entire list of alternate horses are competing this weekend at the Horse Park of New Jersey HT, as well as confirmed team members Lynn Symnasky with Donner, and Kim Severson with Fernhill Fearless. It’s great to see clear show jumping rounds from both of them, as well as alternates Marilyn Little with Demeter and Buck Davidson with Park Trader. Marilyn and Demeter have a commanding lead in the Advanced division A, with an impressive dressage score of 29.4. Cross-country runs tomorrow. Michael Jung and La Biosthetique Sam. 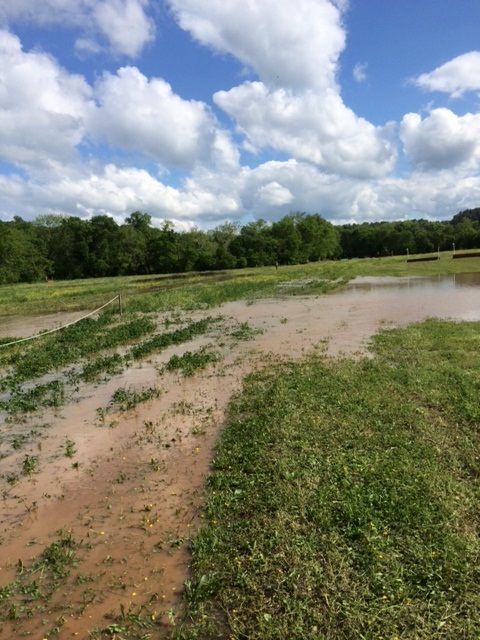 Photo courtesy of Julia Rau. 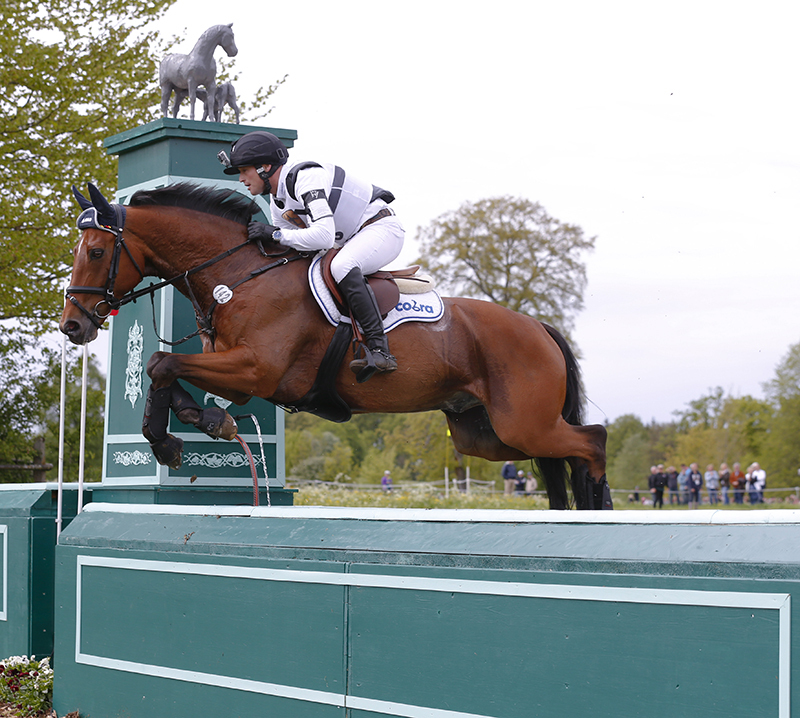 Strzegom CICO***, part of the FEI Nations Cup Eventing series, is currently live streaming for free. 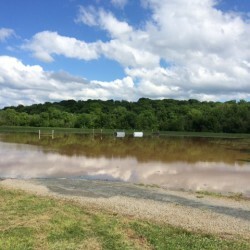 [View It Here] Cross-country runs from approximately 9-10:40am Eastern time. While no Americans are competing, some familiar German names are in attendance, no doubt having a nice prep for the World Games later this year. In this day and age, selling horses should be easy, right? There are dozens of advertising sites available online. Every cell phone has a camera, so it’s possible to get at least one photo of the beast to attract attention. Yet casting a wider net still does not guarantee results. 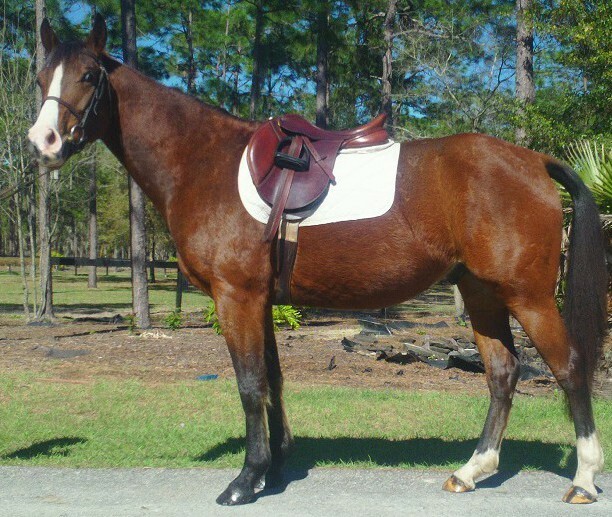 I have a gelding for sale; I call him The Pony. He teeters precariously on the Pony/Not-A-Pony line of the measuring stick at 14.2-and-a-half; but to me, he’s a pony. I acquired him as a companion for my yearling colt, and as the colt is growing up, Pony’s services are no longer needed. It’s time for him to find a home where he can have a job and be appreciated. Pony is green, cheap, and as such I don’t want to spend a lot on advertising. I opted for the free listing sites. I composed an honest, fair description of the Pony, including that he’s 14.2+, still green and not yet suitable for beginners, but okay for a junior or ammie with some experience. He’s sound, easy keeper, yadda yadda. With a couple cute pictures, I’m in luck– I get emails! Six inquiries within a few days, buyers are interested! Success! Well, not exactly. Remember what I said about a wide net? Add a low price to that and you’ll have a lot of tire kicking. Out of a dozen emails, ONE person has come to try him. 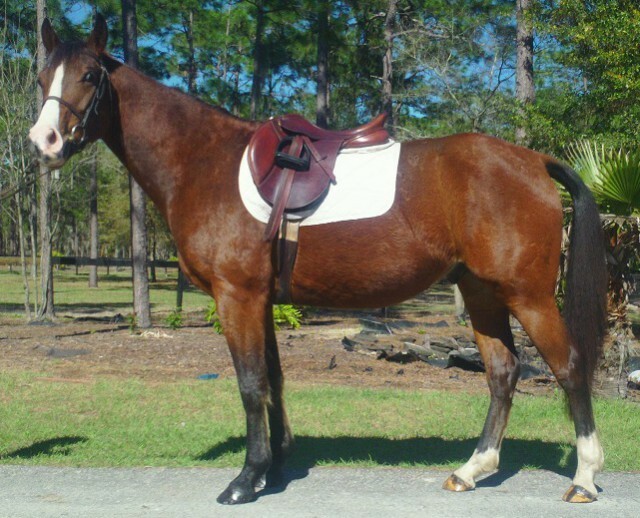 A very nice girl, a dressage rider looking for a basic walk/trot lesson pony. While she liked him and she said he was everything described in the ad, he was just too green for her needs. Back to the drawing board. Other emails have had a sense of urgency (“I’m looking for something to buy within this week!“), or are one-liners like, “If u got on and tried to ride would he buck u off,” and “The horse is pretty do you think you could bring it to us or no.“ I’ve had messages from children, low-ball offers on an already bargain price, inquiries if his saddle comes with him (sorry, no tack for sale at this time), and someone asking if he could be a parade horse. I’ve never tried to sell a horse in this price range before; I figured it would be pretty easy, quick and simple. Boy was I wrong! I have responded politely (though perhaps not always enthusiastically) to every message and thanked them for their interest. For the serious ones, I include links to video, additional pictures, and detailed information specific to their requests. For the others…I answer a few of the questions patiently but I try to make it clear this probably isn’t the right horse for them. A buyer could come from anywhere, so as a seller it’s always important to answer any inquiries promptly and honestly. While it’s frustrating when barely 50% of them reply back, such is the game. I’d rather weed through a lot of emails and get serious buyers than have a lot of riders come try him only to find that he’s unsuitable for their needs. Still, I’m wondering why this is proving to be so difficult; is his price actually too low to attract my intended market? Should I change the wording in the ad? The photo? So far, I’m learning that I’d much rather sell an event horse, a horse with mileage, and a horse with a higher price range– buyers who speak my language. Above all, I’m learning patience. The right person will come along eventually, I just need to be persistent. 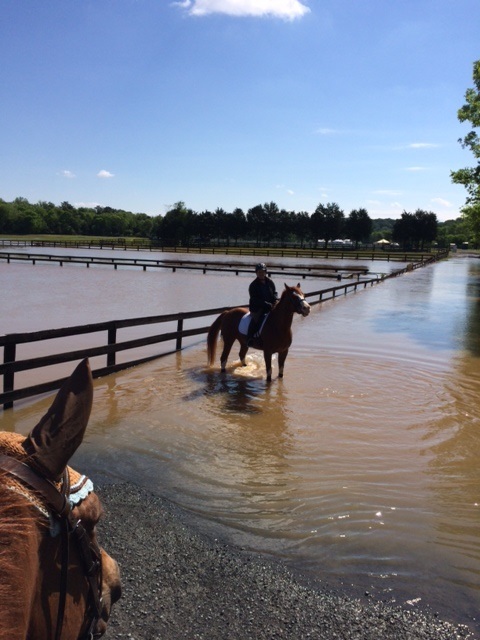 Patience and persistence…two things horses will teach you no matter the circumstance. California Chrome wins the Preakness Stakes. Photo by Jay Baker/Wikimedia Commons. It’s Friday, June 6, which means Belmont Stakes day is almost here. 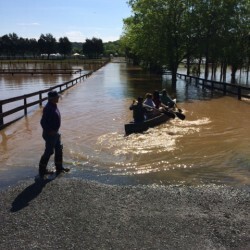 The nation is swept up in “Chromania,” and I find myself reading the Bloodhorse, the Paulick Report and Horse Racing Nation each morning (and often) for daily updates. The support for California Chrome and his quest for destiny has been universal: rival trainers, racing legends and ordinary fans are all firmly on the bandwagon. If you need an inspiring way to spend your Friday, and, like me, you can’t get enough Chrome, here are a couple must reads before 6 p.m. tomorrow. Bill Nack’s writing will give you goosebumps; his storytelling is magical, and this article is no different. From meeting 33-year-old Citation, to watching Smarty Jones in Penny Chenery’s box with Bill Murray, he tells the tale of how long it’s been since the Crown was won. Here, go read it: My Years Chasing the Triple Crown. You can thank me later. The Bloodhorse created a special feature in this photo essay: Waiting and Waiting, for Crowning Glory. Comments from past hopefuls, top trainers and Triple Crown spoilers are mixed with stats from the track, all weaved in with perfectly timed images to make this piece a home run. This isn’t just an article; it’s an interactive experience, and it makes it clear just how difficult the Triple Crown challenge actually is. Will this be the year? 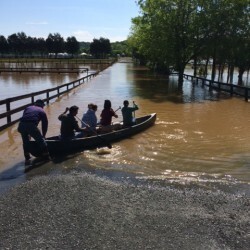 Many kudos to the Bloodhorse for this effort. 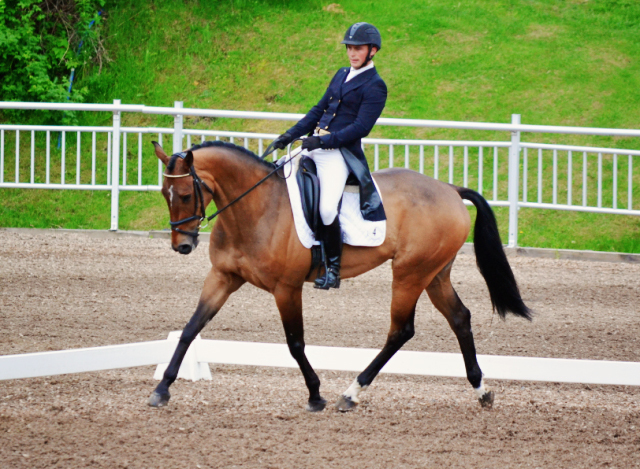 Horse & Hound Asks: Is It the End of the Top Hat in Dressage? Allison Springer and Arthur. Photo by Samantha Clark. 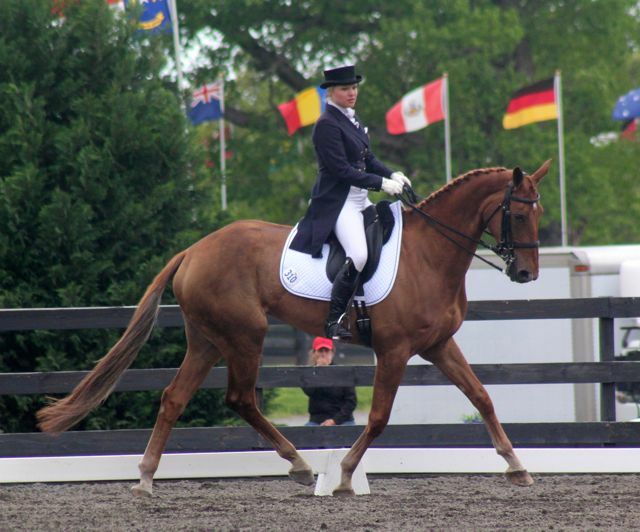 Since Courtney King-Dye’s accident in 2010, many riders have changed their stance on wearing helmets in both pure dressage and eventing. 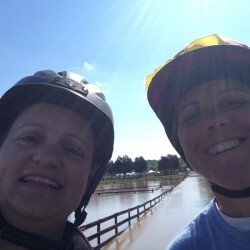 Silva Martin has made it very clear she wears a helmet at all times when mounted in large part because of Courtney’s accident, a decision that likely saved her life during her accident this past March. 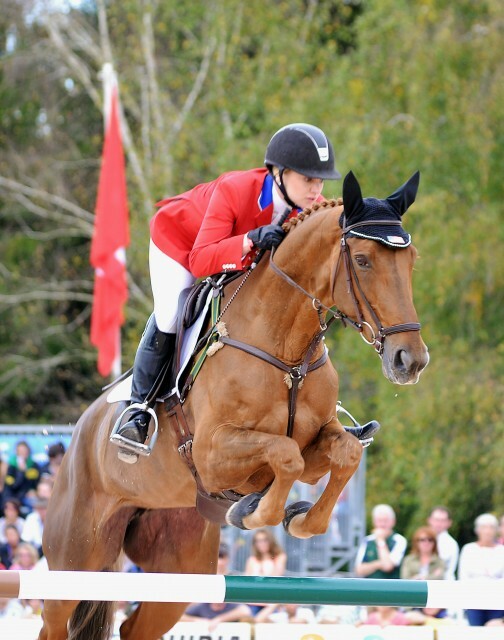 Allison Springer made waves at Rolex in 2010 when she was the only rider to wear a helmet in dressage. Since then, we’ve slowly seen riders follow suit, not just stateside, but in major competitions in Europe as well. Charlotte Dujardin won an individual Olympic gold medal in 2012 wearing her helmet, proof that judges will score an excellent test fairly no matter what headgear the rider chooses. The progress has been slow — traditionalists cling to their top hats in competition for the sake of the look, but the tide is changing. 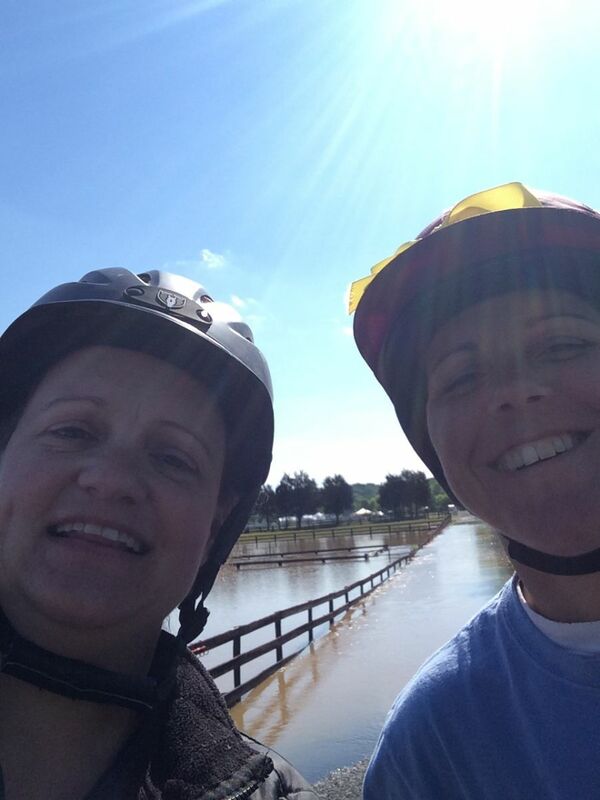 Eventing Nation has long been a proponent of wearing a helmet “every ride, every time.” We hope that with increased awareness, more riders will adopt this philosophy in the saddle. Photo via Bill Brine/Wikimedia Commons. The draw for the Belmont Stakes has just completed. 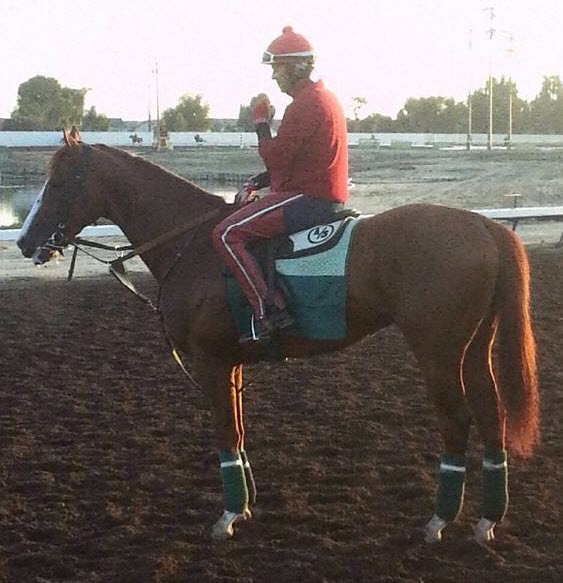 Morning line favorite California Chrome has drawn post position two. 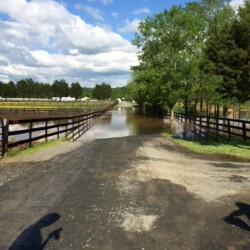 Close to the rail could mean a shorter trip for the Derby and Preakness winner, but sometimes an inside post could cause a horse to get boxed in, trapped, with dirt thrown in his face. However, the horses around him don’t have much speed, so there’s a good shot he’ll get clear if he breaks well. With nutty speedster Social Inclusion skipping the Belmont for the shorter Woody Stephens (a race that should suit him much better), California Chrome may not have a target to run at, and may find himself setting the pace. What did assistant trainer Alan Sherman have to say about it? 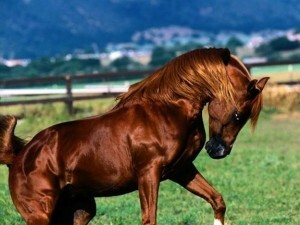 “Secretariat was number 5 in the Derby, number 3 in the Preakness, and number 2 in the Belmont. I like our draw.” While Secretariat was actually 1A in the Derby (breaking from post 10), he did share those posts in the other two races…and we all know how that turned out! Will California Chrome be the next chestnut Triple Crown winner? Find out Saturday evening on NBC. Samraat (J. Ortiz) R. Violette Jr.
Buzzfeed posted a quirky piece yesterday concerning the US and our perceptions of those states. Sure, a lot of it reflects worn out stereotypes…but you have to admit stereotypes have some small basis in truth. Nonetheless, it’s a humorous way to spend 15 minutes if you take the time to read it. As for my own state, I think it’s pretty spot-on. 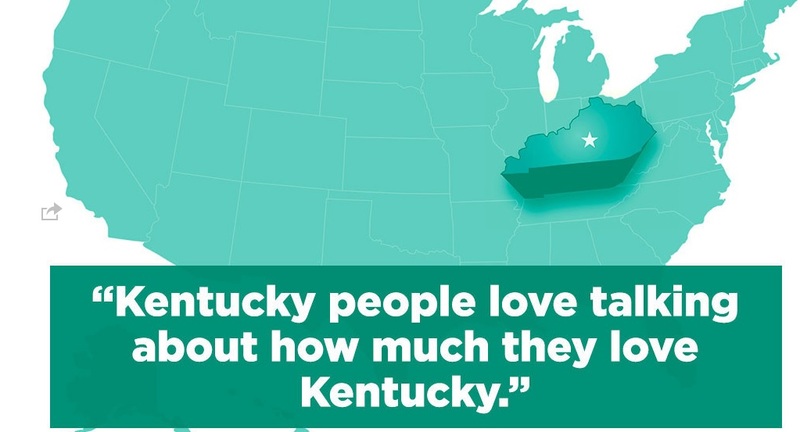 “People from Kentucky love talking about how much they love Kentucky.” Ayup. Guilty. And proud of it. We Kentuckians LOVE our state, love our horses, love our basketball, our bourbon, our blue, our bluegrass. We love it and we want the whole world to know how much we love it. The state may be behind the times in many ways, but its citizens have embraced the internet and all of its ability to spread your voice to the farthest flung reaches of the earth. Don’t believe me? Create a fake twitter account and say something bad about Coach Cal. You’ll get a predictable, and numerable, response. Kentucky fans are always around, always on guard, and always ready to stand up for their state. It’s a feeling born into every member of the commonwealth– that feeling that makes you tear up at a proper rendition of My Old Kentucky Home, that makes even the non-horsiest feel a sense of pride on Derby Day. Yes, we love to talk about our state, because we just can’t help it; we love it that much. So, what do you think about what Buzzfeed says about your state? Is Vermont all about maple syrup? Should the state of Illinois really be named “Chicago” instead (maybe.). Check it out here. Finally, the ultimate highlight video has arrived. 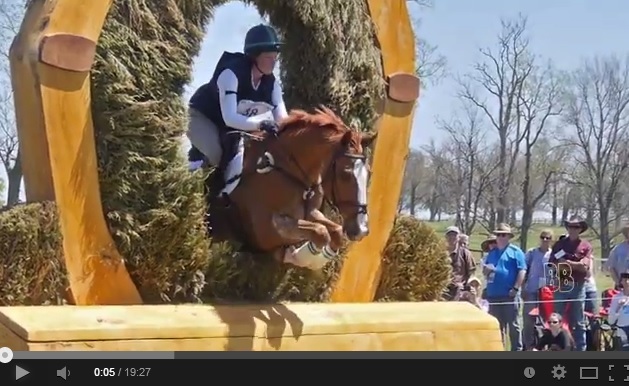 Buzzterbrown is a master at capturing cross-country action, and this year’s Rolex footage does not disappoint. Make sure you have 19:27 to spare, because this is definitely worth watching. Current video settings prohibit us from embedding the video, so in the meantime check it out here on Youtube. Sinead and Tate at Burghley (with Meg photobombing). Photo courtesy of Team SHE. Sinead Halpin penned a fantastic blog for Chronicle of the Horse titled A Student of Empathy. Admitting she has questioned herself and the sport, she then reminds herself how lucky she is to share her life with these wonderful horses. 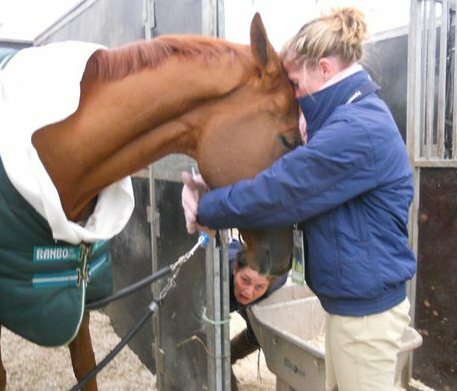 Through success and failure, eventing has taught her what empathy really means: to relate with another being’s emotions. Sinead goes on to explain her relationship with her up and coming superstar mare, On Cue. She reflects on pushing “Q” a bit too fast, too far, causing a fall and blow to their confidence. As a result, Sinead is now taking things slow and steady — Sinead wonders, too steady? — but Max Corcoran says she’ll know when it’s time to put the pedal down again. These are feelings and relationships that all of us share within this sport, and Sinead has expressed it all in this fantastic piece. 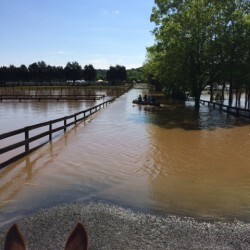 Read it here, and then hug your horses today. The Bloodhorse put together a great video featuring Raul Rodriguez, the 57-year-old groom for California Chrome. With over thirty years’ experience, Raul is considered the right-hand-man in trainer Art Sherman’s barn; he is responsible for the horse’s daily care, happiness, and well-being, just like a head groom in an event barn. While grooms are often overlooked in a top horse’s success, there is no doubt they play a huge part. It was refreshing to hear California Chrome’s co-owner Steve Coburn give plenty of praise and gratitude to Raul Rodriguez in the winners circle yesterday after the Preakness. 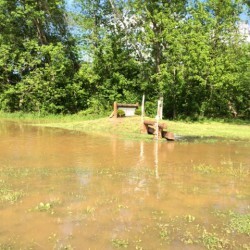 It’s been a busy weekend of eventing across the eastern half of the country, with horse trials from Colorado to Vermont. Here is a selection of currently available results from these events — congratulations to all competitors. Notice that Boyd Martin is back in the saddle in fine form, winning one intermediate division and placing fourth in another at Fair Hill. 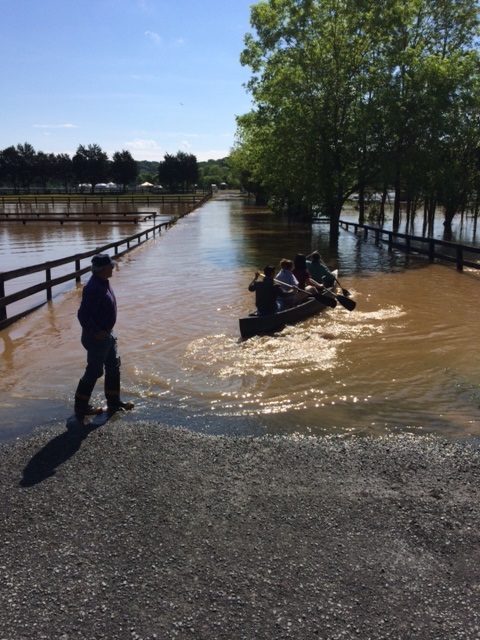 Things look flooded at Kelly's Ford. 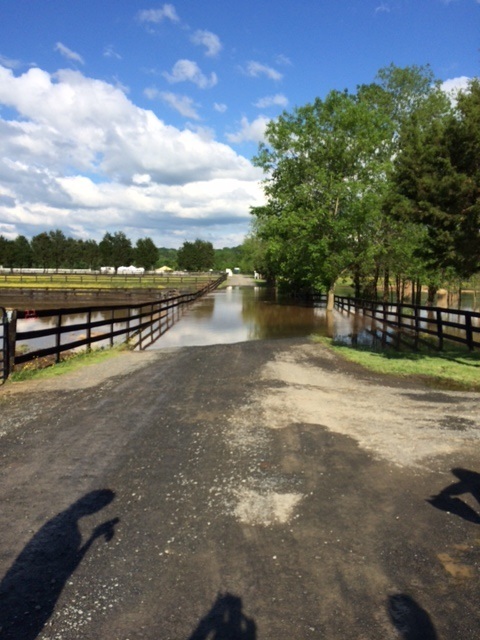 Kelly’s Ford was scheduled to run a one-day horse trial on Saturday, May 17 but unfortunately weather got in the way. 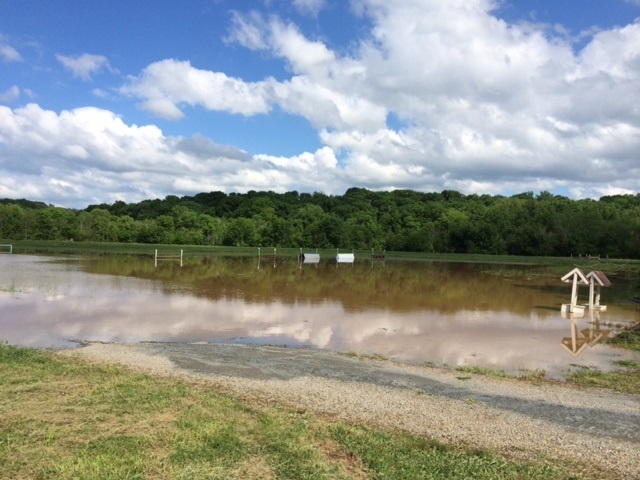 The event was cancelled due to severe flooding. 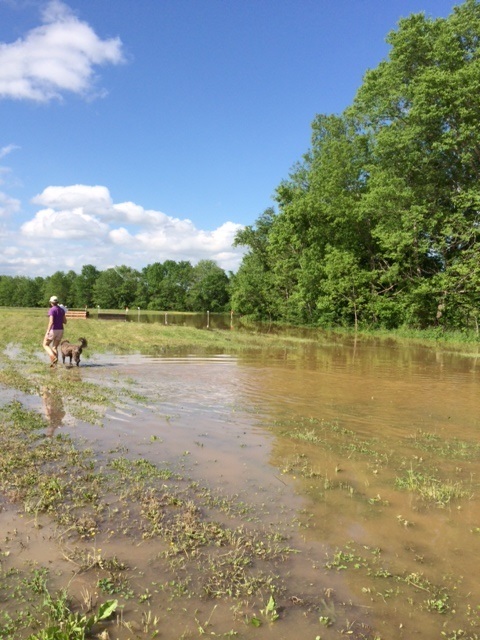 Thanks to Erin for sending in these photos, and we hope the land at Kelly’s Ford recovers quickly. 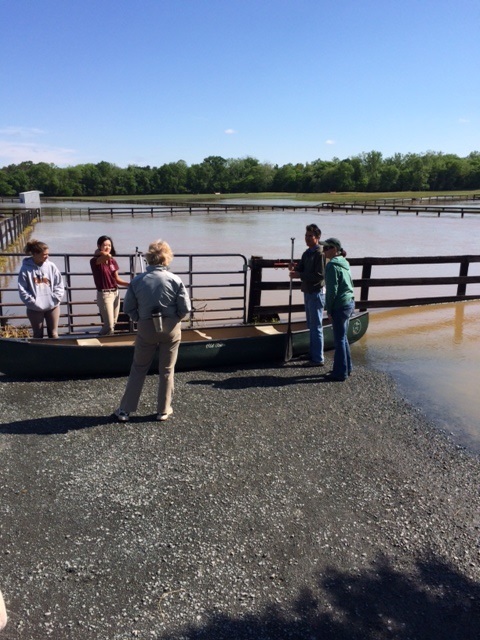 The temporary stabling was nice. 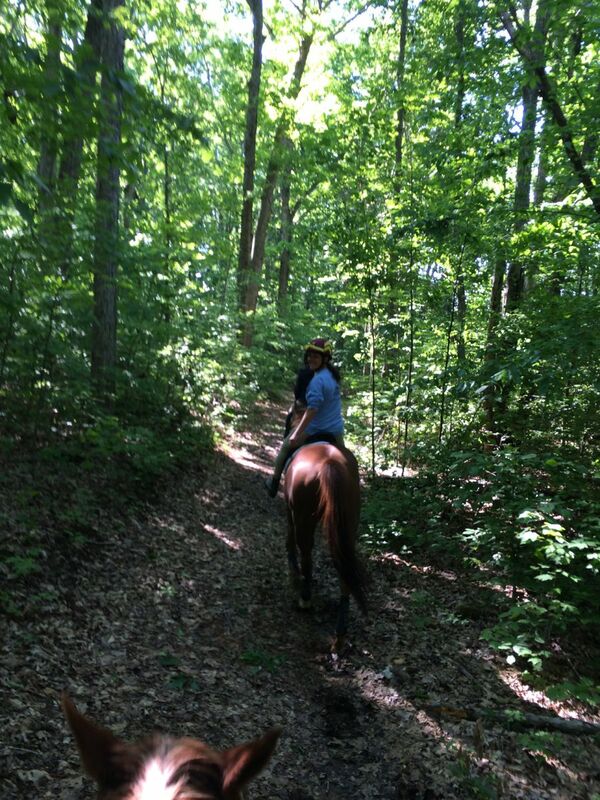 We went for a trail ride. 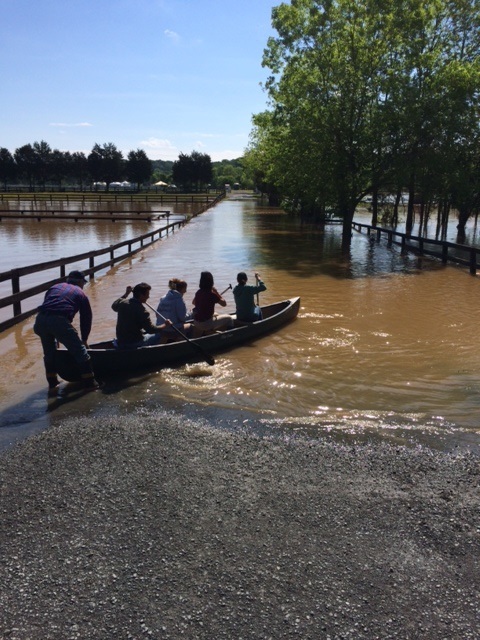 The staff heads across in a canoe. California Chrome at the Derby. Photo via Wikipedia Commons. California Chrome as a sport horse? Ok, so we know it would never happen — he is a phenomenally successful race horse and will never know anything other than an oval, and later a breeding shed. And not that he should, either; he clearly loves his job and has wonderful owners, a trainer and connections who care for him greatly. It’s a Hollywood story unfolding in real life, and I hope the final chapter is a good one. 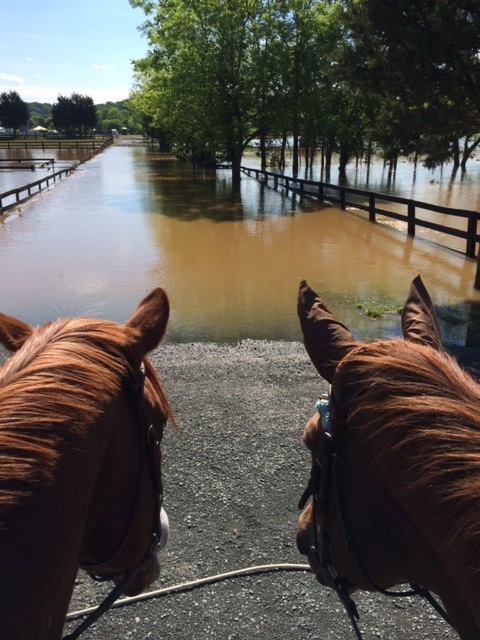 But still, we’re eventers. 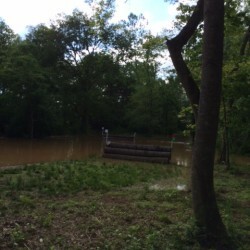 And as eventers, we look at every Thoroughbred with a critical eye: will he jump? Would I like to ride him? 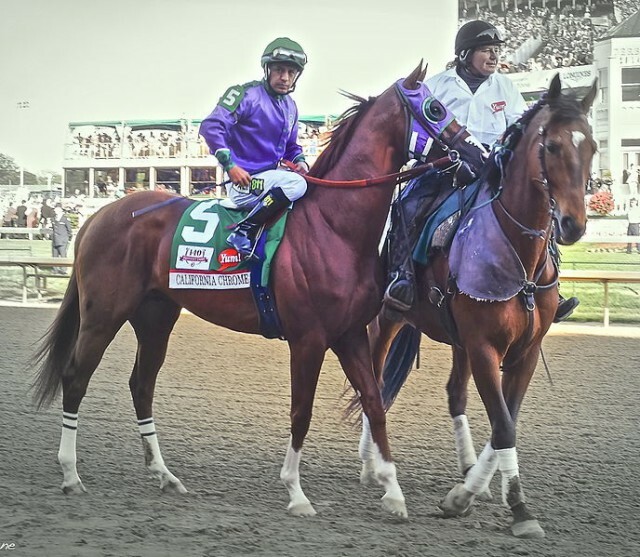 So let’s take a look at California Chrome through that lens, and see where it goes. Let’s go in with a blind eye and pretend we don’t know how flashy and pretty he is. Let’s start with the paperwork: his pedigree and race record. California Chrome is by Lucky Pulpit (Pulpit – Lucky Soph) and out of Love The Chase (Not For Love – Chase It Down). The first thing I do when evaluating a prospect’s pedigree is find whatever photos I can of the parents, grandparents, and adult siblings/relatives, to tell me how this prospect might turn out. Lucky Pulpit very much resembles his sire, Pulpit– a little chunky, big hip, with the typical arched Pulpit neck. 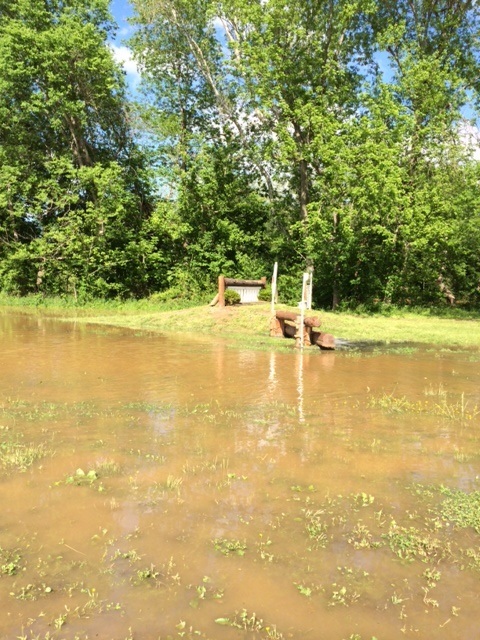 Lucky Pulpit raced at a mile or less; not what I typically like for an eventer (or a Derby horse! ), but let’s dig further. I consider Pulpit a good name in a sport pedigree; he’s a very successful son of the great A.P. Indy (to whom I am very much attracted). A.P. Indy is a noted distance influence, and his traits commonly “carry” down generations in a pedigree. I like the athleticism, balance, and intelligence that comes from the A.P Indy/Pulpit influence: smart horses who use themselves well. Lucky Pulpit also brings in a branch of Caro through Cozzene; Caro is noted for good jumpers. On the dam side, Love The Chase is by a fantastic sport sire Not For Love. Not For Love stands in Maryland and has quite a few sport offspring out there; he himself is very good looking with a beautiful front end and strong hind leg. I’ve seen several Not For Loves and they are lovely individuals: nice movers, great balance, very classy. Love The Chase also brings in two lines of Northern Dancer (jump! ), and doubled up Numbered Account (by Buckpasser). All good things. 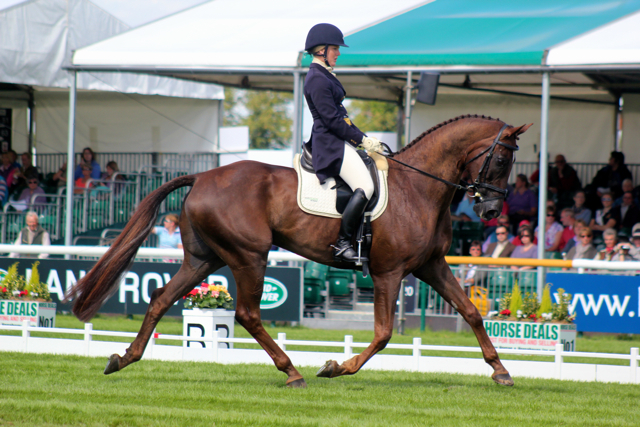 So the pedigree is definitely interesting and inspiring for a potential event horse career, at least in my opinion. Let’s take a look at his race record. California Chrome has won at distances from 5.5f to a mile and a quarter. It’s common to start two-year-olds in short sprint races, so the 4.5-5.5 furlong distances don’t mean much. Instead, notice how he can win over a distance of ground (multiple wins a mile and an eighth or more), and over both dirt and synthetic. They say a good horse can run on anything, and that seems to be true here. Dirt vs synthetic is not much of a distinction in a sport prospect; it’s just interesting to note this horse’s athleticism. He has 12 starts so far, which is a pretty good load for a spring three-year-old. He hasn’t been run into the ground, though; with the allowable exception of the Preakness, he gets about a month’s break between races. This shows consistency and soundness, being fit mentally and physically to withstand steady training. And winning in graded stakes company? That’s an elite athlete: a Michael Jordan or Peyton Manning who can excel at nearly any sport they try. Why do I consider racing success useful for non-racing sport? I once met a noted professional who studies Thoroughbred biomechanics and has charted thousands of race horses’ performances along with their structural characteristics; he truly has it down to a science in measuring what it takes to be a graded stakes horse. The interesting thing? He once studied Bruce Davidson’s advanced level event horses… and they measured up right alongside the graded stakes performers. It was an interesting conversation and made me appreciate what “freaks” our great equine athletes really are. Back to California Chrome. I like his pedigree, I love his race record. This alone probably means he’s out of my price range (you could say that, LOL)… but let’s continue and take a look at him conformationally. It’s tough to find any kind of conformation photo of him; here’s one under tack, another getting off the van, and the best I could do, a screenshot at bath time from a video by the Thoroughbred Daily News. California Chrome shows a nice overall balance with proportionate parts that blend well together. His neck comes nicely up out of his shoulder, which has good length if just a bit upright. The front end suggests good reach and length of stride through the shoulder. His feet, while criticized for being white and “weak,” show good shape and size…white feet don’t scare me, either. His topline is smooth and strong, showing a nice length of back, and good loin connection. His hind end looks powerful with good angles in his hip and hocks to drive well under his body. He has a strong chest and deep heartgirth with plenty of room for lung capacity. California Chrome has enough substance to suggest durability and stamina, but he doesn’t look blocky or chunky whatsoever. His strong hip combined with the uphill feel of his carriage makes me think he’d have no problems rocking back and pushing over a big fence. Add that athleticism along with his big intelligent eye and flashy good looks…well, it’s no wonder most of America has jumped on the bandwagon! The final piece we have to evaluate is his movement. Watching his race videos and workouts, he doesn’t appear to be a dressage winner. While his gallop is remarkably efficient, smooth and powerful, his trot and canter appear a bit stilted. 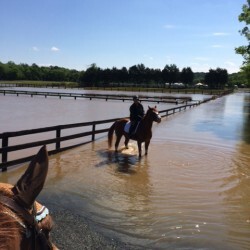 Some of this is due to being at the track; many OTTBs will show vast improvement in their trot with proper training as their muscles change, but there are limits to how much better it will get. From what I’ve seen, California Chrome lacks some suspension and ground cover in his slower gaits, but he more than makes up for it with his gallop! In both canter and gallop, he uses his hind end well underneath his body and moves relatively uphill, not heavy nor on his forehand. He shows nice reach through his shoulder and fairly correct flight, with little wasted motion paddling or winging. Even when he “levels out” at racing speed,Chrome keeps good rhythm and balance with an effortless stride. Could California Chrome make a nice eventing prospect? I’d expect him to be a good jumper who would really eat up a cross-country course. While we’ll never know for sure, I certainly wouldn’t turn him down. 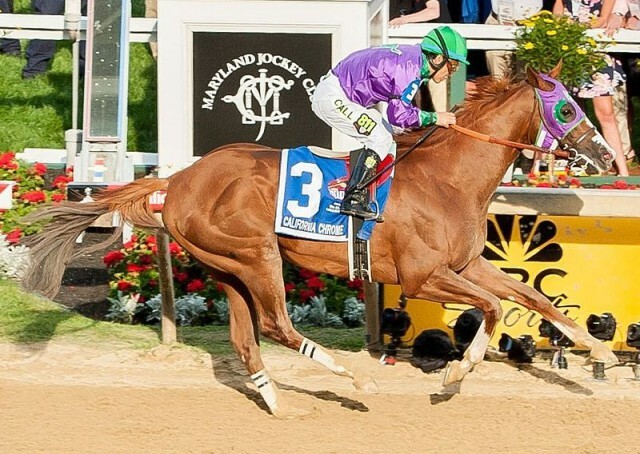 Best of luck to California Chrome and all his connections as they chase history in the Belmont. We’ll all be rooting for him!